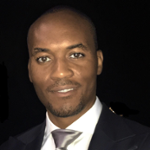 Company-description: Charles is the founder and CEO of the Muamba Group, LLC – a marketing consulting firm which provides growth strategies to businesses with a keen focus on response marketing and consultative sales method. His clients has ranged from large internationally recognized corporations, such as W Hotels, Acura, Loews Hotels, Fiat, Citigroup, Outback Steakhouse, to small business owners. But they all have two things in common – they are all eagerly striving for exponential growth, and virtually all of them have profited greatly from Charles’ expertise. To learn more about Charles, visit www.charlesmuamba.com.